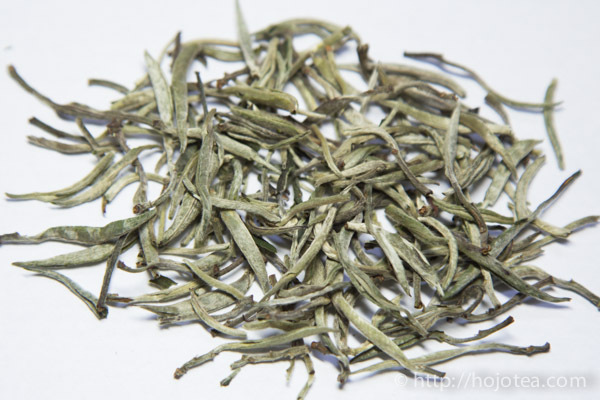 We have just released Gu Shu Yinzhen. Gu Shu means “old tree” in Chinese. 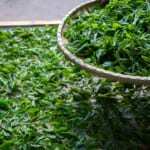 This tea was produced from the tea trees that aged about a few hundred years old. 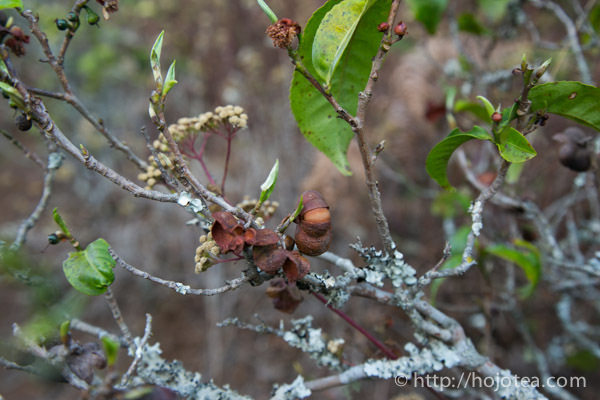 The tea trees were owned by the minority ethnics in Yunnan who strictly followed the traditions of their ancestors. 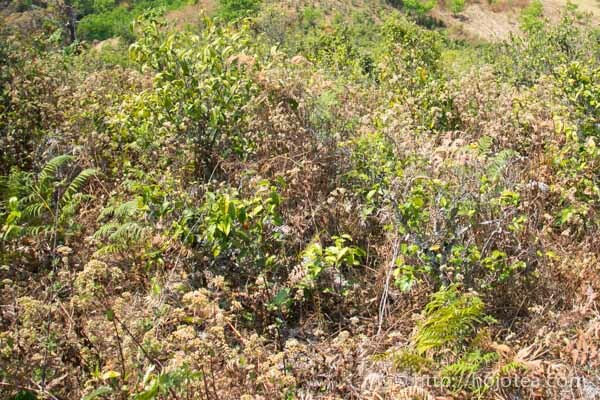 The tea bushes were planted independently and grown like a wild plant where the tea trees are surrounded by weeds that have grown as tall as those tea trees. 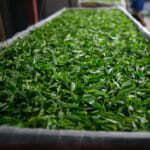 They only cut off the weeds just before tea plucking is carried out. When I saw the tea growing area for the first time, I can hardly believe there was any existence of tea trees. The trunk of the tea trees were so white and its leaves were yellowish due to the shortage of nitrogen supply. 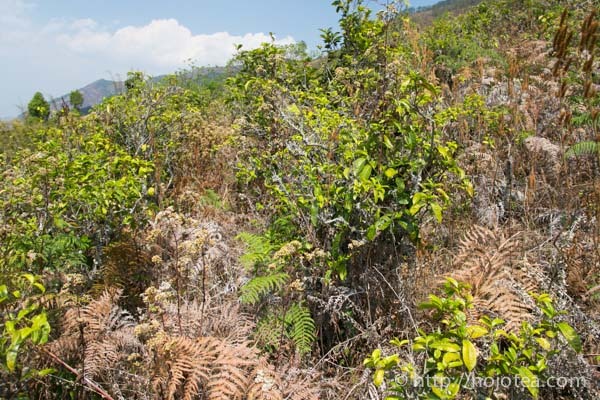 The tea trees were completely merged with the surrounding ecology. According to them, they practice exactly what they learned from their ancestors; till now, the same practice has been preserved for thousands of years. However, nowadays many places in Yunnan are rapidly altering their traditional farming to the modern agricultural practice. Hence, it is very rare to locate a place where people still practice their traditional farming. 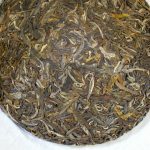 The main characteristic of Gu Shu Yinzhen is its overwhelming extent of after taste. 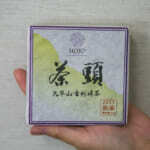 Once we drink this tea, the taste goes very deep down our throat, the sweetness and flavor lasts for a very long time. Since this tea is very strong, I usually indulge in only a few cups and stop drinking more or else I would get tea-drunk. Thanks to the highly concentrated minerals, it makes me feel warm and relaxed. 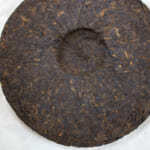 Moreover, the tea leaves lasts for many infusions and we can brew this tea over and over again. Usually, once I prepared this tea in the morning, I could keep brewing it till night. 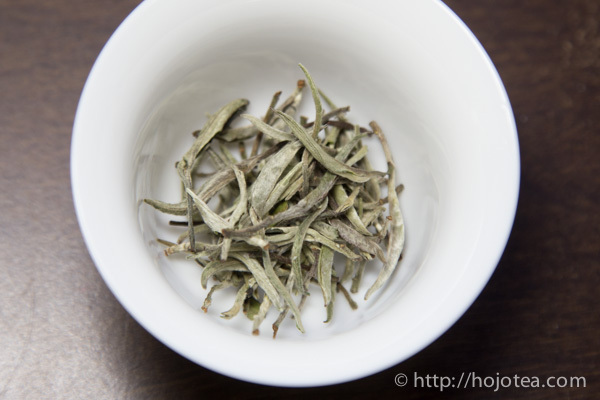 The unique feature of this tea is that we can maintain its fresh flavor throughout the day. 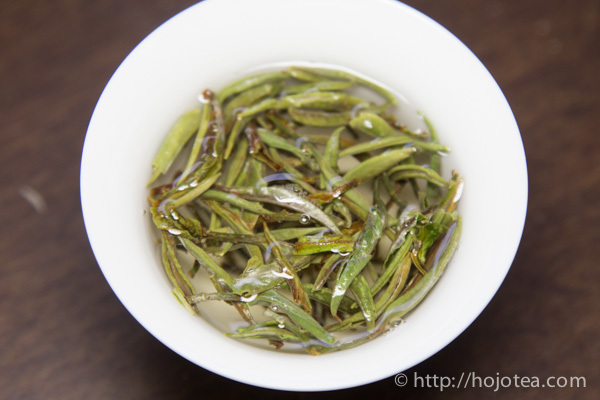 Even if we stop brewing this tea and leave the wet leaves for several hours, it will not omit any off-flavor. Instead, it develops a fruity flavor. 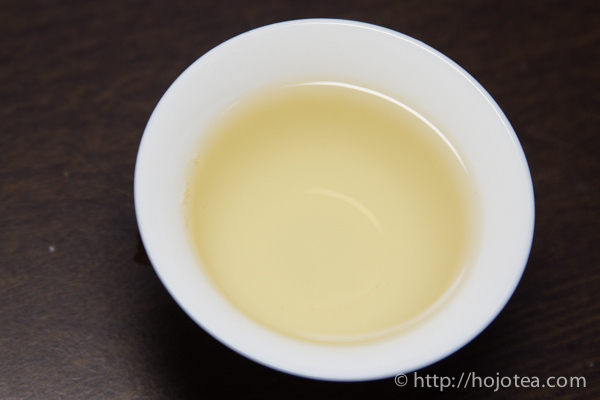 I often brew this tea at night and continue during the next morning. To my surprise, the flavor was rather fruitier and nicer when I brew the tea again the next morning. 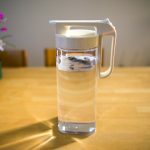 I also recommend brewing this tea in cold water, which was unexpectedly refreshing and thanks to the strong after taste, my kids also loved it so much. 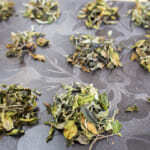 All you have to do is to place 5g of tea leaves in 1 litre of water, and then leave it in a fridge for several hours. If you think it is too strong, you can dilute it. If you prefer stronger flavor, do use the cold water that was boiled once and cooled down. 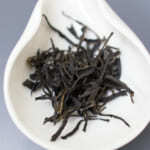 Not only the fresh tea is enjoyable to consume, but the flavor of matured tea is also very attractive. I personally am thinking of keeping this tea for more than a few years to further mature it. If you wish to conduct maturation, please keep the tea unopened in the warmest environment in your house. 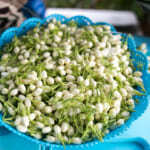 This tea will produce sweet muscatel flavor within 3-5 years’ time.